Your wedding is going to be the most memorable event of your life. It is understandable if you want it to be unforgettable for your family and loved ones too. 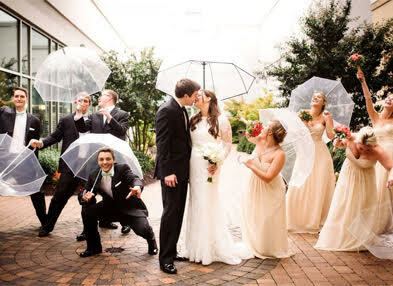 The most important thing about a wedding party is to ensure that everyone is enjoying themselves. It is taken for granted that the bride and groom and their families hosting the party will be busy with organising bridal showers, reception, the speeches, etc. However, for the wedding to be memorable everything should be perfect. It is not possible for the host to be personally attending to each and every guest or look into the smooth operation of the entire event. That is why it is best to entrust the responsibility of organising a wedding party to a wedding event company. The various aspects of a wedding starting from the food and the music to the theme and the decoration – everything has to be in sync. As they are aware of the popular trends, beautiful venues, interesting themes and dishes that are high on demand, their suggestions can benefit you. Whether you want an afternoon at the church or a sit-down dinner wedding arrangement, the event can be planned as per your choice. The trick is not to do the planning alone – ensure your mum, best mate or sister is there to help you navigate the hundreds of small and big decisions you need to make. Another important aspect of any memorable wedding is the experience guests have with the food. There are times when a menu from a wedding people had attended ages ago will be discussed in laudable terms even today. If there’s a particular cuisine you have on your mind, it is best to discuss it with your catering service company about how comfortable they are in organising a menu inspired by your choice. It is best that you ask to taste their samples before finalising. When it comes to wedding food catering Melbourne companies know exactly what works and what doesn’t. Most wedding planners and caterers have all the information provided on their websites, and this will give you a good idea about all the possibilities you can have with food and beverages. Delegating the job to a responsible event, party and catering service can be one of the wisest decisions you make. They have a dedicated team of staffs and members to handle each aspect of the event from planning the venue, flower arrangements, cake tastings to the food and the result is a perfect wedding.